Effortless navigation system: Mobile screen tends to be smaller in comparison to computer’s screen. Complex navigation may not turn off users in case of they use computer or laptop, but it may upset them if they employ mobile devices. If navigation of your site will induce users to scroll too much, it will not go well with them if they prefer to use mobile devices. Thus, you need to lay emphasis on offering uncomplicated navigation interface because that is one among major keys to lure users to browse through your site in detail. Relevant content: Effortless navigation is of no use if you fail to offer relevant content. In addition to relevance, content should be properly arranged. Haphazard placement of information will leave users frustrated and upset. Ensure providing proper contact information because that is how, your targeted customers will reach to you. If you can create blog and attach a link of it to your commercial website, it will play a significant role in enhancing functionality of your website. A blog encourages target customers and existing customers to interact. More they get to interact with you, more quickly your brand will experience popularity. Appealing color-coding: Contrast yet simple color-coding enhance an appeal of a website. Website content should be readable in bright outdoors and bright lighting. Before finalizing your website, just ensure that color-coding is not putting strain on eyes. Use proper font size: Apart from color-coding, you also need to lay emphasis on choosing correct font size. Improper font-size may put strain on readers’ eyes and hence will lead to a negative impact on user traffic. Especially, in context of mobile website design, importance of choosing proper font size increases to a further extent as they feature smaller screen. Optimization of website: You need to understand that computing power of personal computer tends to differ from mobile devices. Optimizing website meant for personal computer is not going to suffice. 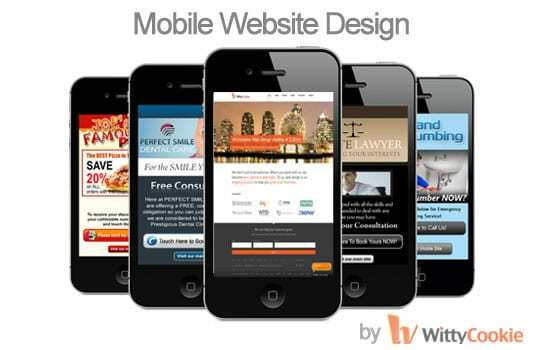 You need to ensure site’s optimization related to mobile devices. Thus, you need to hire an experienced web developer who is properly familiar with the entire process of optimizing a commercial website design meant to cater to range of mobile devices.